Beer with Seoul-South Korea’s The Booth Brewery takes root in Humboldt – The Booth Brewing Co. The Booth Brewing Co., one of the newest additions to Humboldt County's craft beer scene, began over a craving for one of humankind's simplest and surest pleasures: pizza and beer. In 2013, beer lovers Sunghoo Yang and Heeyoon Kim, a financial analyst and medical doctor, respectively, joined forces with Daniel Tudor, an Economist writer living in Seoul who lamented the lack of craft brewing in South Korea. The three envisioned an intimate neighborhood gathering place — a booth — where folks could gather to enjoy a slice and a brew. Playing off the popular Korean meal/pastime "chimaek," a portmanteau of the words for chicken and beer, they invented "pimaek" — pizza and beer — and opened the first Booth bar in a small alleyway in Seoul. This early incarnation served one beer and two varieties of pizza: cheese and pepperoni. Despite, or perhaps because of The Booth's simplicity, things moved quickly from there. It expanded to seven bars in South Korea and soon had trouble meeting the high demand for its beer. 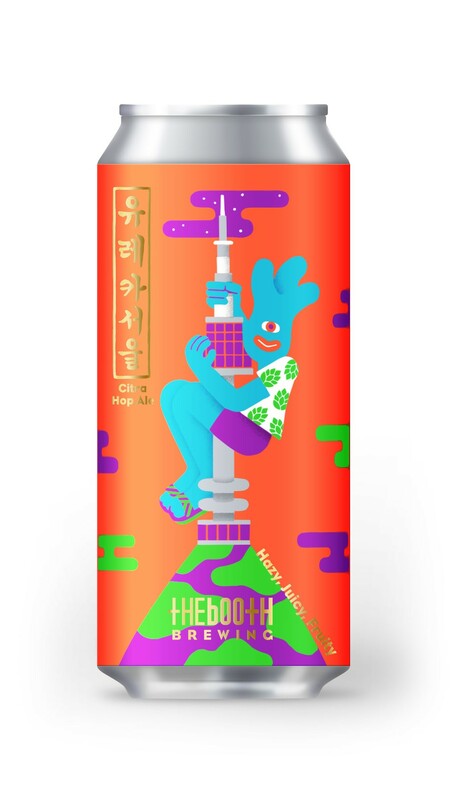 With a desire to create a broader repertoire of beer styles and fulfill their customers' insatiable thirst, The Booth's founders began to look at expanding production outside of South Korea. On a honeymoon to San Francisco, Yang and Kim (who married after The Booth was created) visited the namesake bar of the now giant Danish craft brewery, Mikkeller. Famous for its collaborations, experimentation and quality, Yang was inspired to serve Mikkeller beers in South Korea. Following the success of that venture, The Booth and Mikkeller collaborated on a beer. With a successful international collaboration under its belt, The Booth looked to continue expanding. However, South Korean tax structure was hard on small breweries and import regulations made it difficult for the company to ensure the freshness of ingredients, putting a damper on its plans. Meanwhile, things were shifting in Humboldt County. Lost Coast Brewery, one of Humboldt County's oldest and largest craft breweries, had outgrown its production space near the Eureka waterfront. The Booth was aware of Lost Coast — one of the first craft beers available in South Korea — and soon learned that the brewery was building a spacious new facility, leaving a modest space available. Smack in the center of the West Coast — craft brewing's ring of fire — Eureka was a natural place to expand The Booth's footprint. 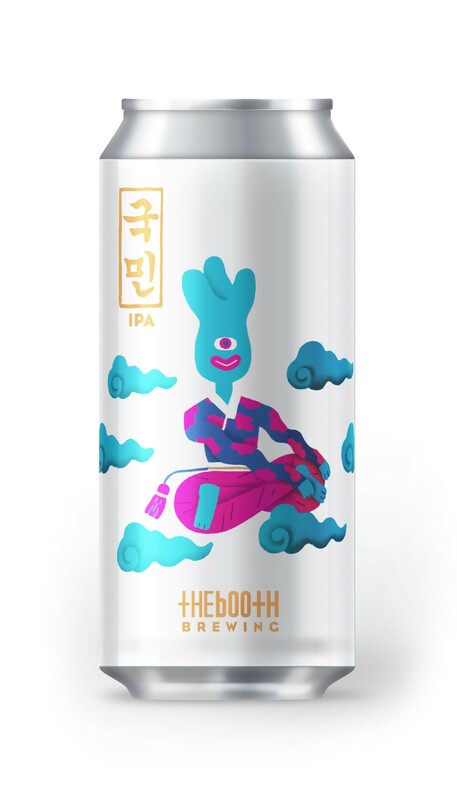 The Booth began brewing beer for the South Korean market in June of 2017. Youngwon Lee, The Booth's head of U.S. operations, explained that there was a lot of local interest. Curious media outlets glommed onto the unlikely new resident's origin story and an excited population of thirsty locals began inquiring about The Booth's beer. The company built a canning line for U.S. distribution in December of that year and has steadily expanded its line of beers to an eager American market ever since. The Booth's savvy and eye-catching marketing has surely boosted its popularity. Variations of their spikey-haired "Boothman" — based on one of the founders' doodles — adorn each can, along with heaps of bold colors. The illustrator, Seoul- and Rotterdam-based Soña Lee, has created labels with winking nods to the North Coast, including a hybrid of the Boothman and Arcata's Dead Reckoning Tavern owner, the kilt-clad Theo Brown. While its backstory and its marketing have certainly drawn an audience, Booth has garnered a dedicated following and a sterling reputation because of the quality of its product and its variety of inventive styles, which filled a gap, even in beer-rich Humboldt County. Its flagship beer, the crisp and hoppy Kukmin IPA, can be found all over the North Coast in cans these days. It's less bitter than many IPAs, making it popular in the Korean market, while still appealing to hopheads. Perhaps more exciting to locals, the EurekaSeoul series of hazy IPAs nails the style, maintaining a juicy and pungent flavor highlighted by a rotating cast of single hops. The character of the unique hops — including Huell melon, lemondrop, citra, Idaho 7 and mosaic, to date — stands out but still harmonizes with the base ingredients of the beer. Snag these when you see them. Another standout is the Fun Follower Witbier, a light and quaffable wheat beer subtly flavored with lemongrass and peppercorn. This one pairs well with a variety of dishes from both continents. It should come as no surprise, given the original ambition to create the perfect combo of pizza and beer, that playing with flavors and ingredients — as well as food pairings — is one of The Booth's fortes. "Fun is our first ingredient with beers that we make," Lee said. "What we put into the cans are serious beers that we study over time and make. I think we'll never stop in terms of new products and being creative." The bad news: The Booth doesn't currently have a tasting room. The team is working on some ideas, Lee promised, but it's likely some time off. (They've gotten negative online reviews from crabby folks expecting to find an onsite pub, Lee said.) Luckily, canned beers are available in grocery stores, bars and restaurants all over the North Coast. The brewery recently picked up Bay Area distribution and Lee learned just last week that Whole Foods will soon carry The Booth in cans. The South Korean keg system is also different than the system used by most U.S. breweries, although you can intermittently find The Booth on tap in Arcata at Dead Reckoning Tavern (815 J St., Arcata), The Local Cider Bar (828 I St., Arcata) and Humbrews (856 10th St., Arcata), and in Eureka at The Siren's Song Tavern (325 Second St., Eureka), Arts and Drafts (422 First St., Eureka) and The Madrone Brick Fire Pizza and Taphouse (421 Third St., Eureka). It's working on another keg system that should help them expand stateside, as well. For now, your best bet for keeping up on The Booth's festivals, tap takeovers and soon-to-be-released beers is to follow its social media accounts or sign up for a newsletter on its website.